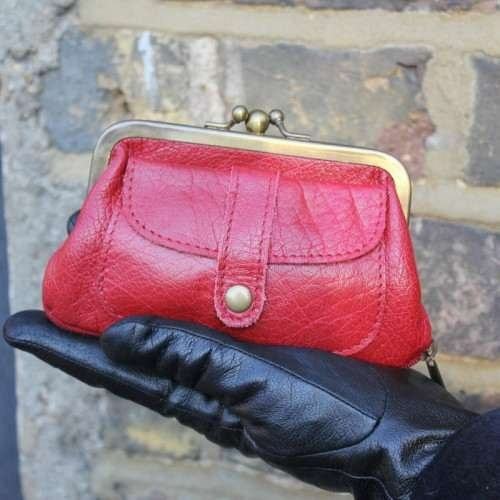 Amy double clip purse in amazing leather has two large compartments for coins and other things and a pocket at the front, as well as unexpected bottom zip. Its measurements are 14cms wide, the clip is 12cms, height is 9.5, front pocket measures 9.5 x 6.5. The lining is black.